← Monday Question – Do You Like to Give Or Receive Perfume As A Gift? Jul et Mad’s first chapter of their love story, took me on an exciting chance encounter on Lexington Avenue with Stilettos on Lex. When I first smelled the samples it was a cursory sniff of the top. I chose to review Stilettos on Lex first because I loved the name and little did I know that it was the first chapter of a love story. 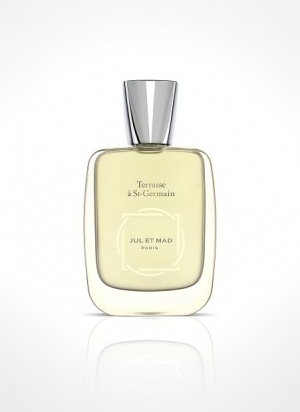 Since my review, I have learned from Jul et Mad’s website that the second and third chapters are named Terrasse à St-Germain and Amour de Palazzo respectively. 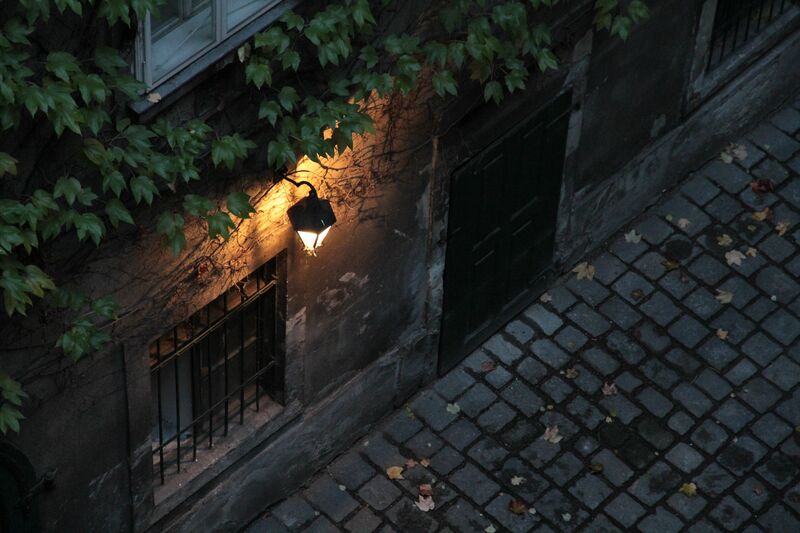 When I first smelled Terrasse à St-Germain, ever so gingerly from the vial, I thought that the perfume would be my least favorite, because all I could smell was citrus and generally citrus does not like my skin. My skin devours it and most of the time turns it into a salty mess. The first spray of Terrasse à St-Germain on my skin took me by surprise and I was moved by the emotions that this perfume evoked. The second chapter of Jul et Mad’s love story becomes a symbol of my own love story. I smell the tangerine clearly and if I concentrate long enough I smell a little bit of rhubarb. It quickly moved on to the freesia and it is sublime, albeit for a short period. This citrus floral opening lasts minutes on my skin. I thought ok, lovely, now what? Wait – there is more, so much more, to this beauty. It transforms into a lovers embrace. Sunshine quite literally comes to mind and memories of dates with my husband so many years ago. We were as poor as church mice and cafés were out of the question and we had to meet in the gardens of Vienna. 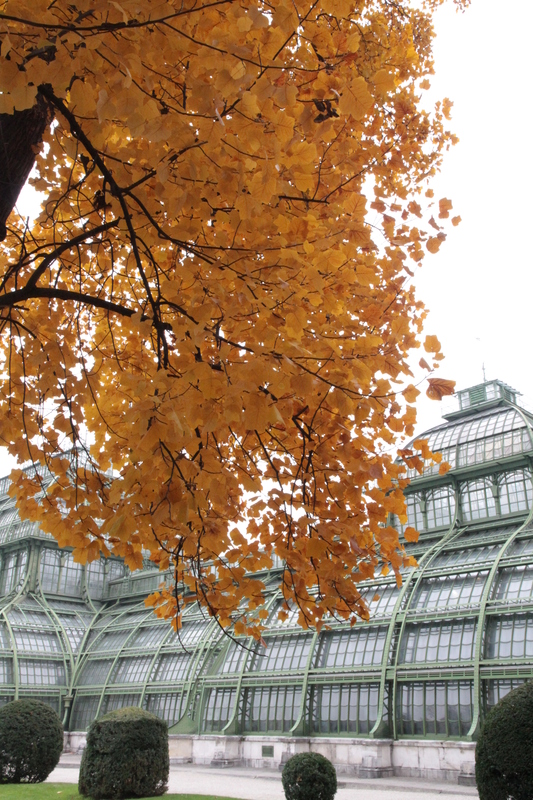 So, we sat on benches amongst the pristine gardens of Schönbrunn Palace for hours on end gazing and getting to know each other better. It was a magical time in my life, being so at peace with one person. I still am. This is where the charm of the perfume works so well in my love story. Musk comes up quite suddenly and then takes center stage on my skin. Usually I am anosmic to most musk perfumes, so imagine my joy when I was enveloped in this serene sensuous smell for hours. I can honestly say that this is the loveliest musk perfume that works so beautifully with my skin. The dry down is all musk and sandalwood and I feel like I have been wrapped up in a cocoon of trust, honesty and most importantly love. I am home in my lovers embrace. This entry was posted in Jul Et Mad and tagged floral, Fragrance, green, Perfume, Review. Bookmark the permalink. Where do I get samples?? Have looked around but ………. I am trying to find out myself… will let you know if I find out. Wow. I have tried to ignore this line because of the price range but I think I may have to do something that I never do and buy some samples. The romantic story behind your experience with the perfume completely drew me in. You don’t need to be rich to have a rich life and maybe the hustle and bustle of the cafes would have been too distracting. Andrea, you won’t be sorry with purchasing samples. All three have their place in the love story behind the brand. You certainly do not need to be rich to lead a rich life. So true! Citrus doesn’t last at all on me but I have to admit you are making me want to try this. I truly have the same issue with citrus Poodle. But the perfume is not so much about the citrus as it is about the musk and sandalwood base intertwined with the florals – for me that is. Loved the review and adored the pictures! I happen to like citrus notes (they make me happy) so I would probably get along splendidly with this perfume :D!! Thank you Brie! I find it a happy and comforting perfume. I do hope that you will enjoy it when you try it. Now that is something special! A perfume to bring back such a lovely memories. Priceless. Civava, I love perfume for that very reason – all the memories that come up or are being made! Thank you. This marketing is so genius that it shocks me that no one has come up with it before (marketing a fragrance line as a love story). It’s great to hear that the juice lives up to the story, and brings back such happy memories for you. Thanks for sharing them! Sandra, I just purchased spray samples of all three of the Jul et Mad scents from MiN New York (thanks to Undina for pointing these out to me), and I almost didn’t include this one, because I looked at the notes and thought, huh, rhubarb! I’ve found I don’t care for it as a perfume note (eating it is fine, though). Now after reading your tender review, I’m glad I kept it in my shopping cart. Even if it turns out to be not my kind of thing, I have to smell a perfume that reminds a fellow perfumista of her own love story. A charming read, thank you! Thank you Suzanne. I truly had to concentrate to get the rhubarb. What I love about these perfumes is that without the history of their love story, the perfumes are still wonderful. It just clicks with the love story. Please do let me know if you like them. Hi Maria. I am so pleased that you want to try these perfumes. If they are unavailable at First in Fragrance I am at a loss as to where to find samples. I will try to find some information and let people know if I find anything. So sorry that I cannot be any better help. Not at First in Fragrance ……..
😦 Lets hope they get samples soon Cookie Queen. What a beautiful review, thank you, Sandra! I have a travel set of the Jul et Mad story and this one is by far my favorite. Sadly, Stilettos on Lex gave me an instant piercing headache which rarely happens, but Terrasse was immediately captivating despite my trepidation about the notes. Sandra, you write so beautifully about love and perfume it’s a joy to read. Thank you Tara! The love story behind the perfumes just felt so right. and I even had to crack a dictionary. . . anosmic . . .love learning, you’re a great teacher of many subjects! What a wonderful review, Sandra! It sounds like you found a fragrance that beautifully evokes a magic moment in your life. Isn’t that what we all hope for? Thank you Baconbiscuit. Perfume always evokes memories past and recent for me. One of the reasons I love perfume so much. It’s a very nice review for a very nice perfume. Thank you, Sandra! I hope more people will like this line (and I hope this line will launch smaller bottles as well 😉 ). Thanks Undina. Oh yes please – smaller bottles would allow me to have all three! Such a beautiful review! I am definitely adding this to my list next time I order samples. …and if anyone was still wondering, Aedes de Venustas is another place where the line can be found and sampled.